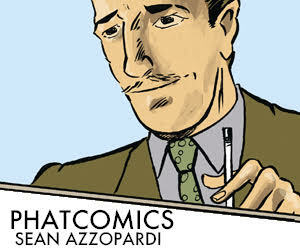 Broken Frontier proudly unveils the winners of its 10th annual Broken Frontier Awards. During the last weeks of 2013, the BF staff went through piles of comics and graphic novels and carefully selected five nominees for each of the 11 award categories. As befits a site which prides itself on its diversity of coverage, our nominations ballot once again featured a great mix of talent and projects. On December 17, we opened the ballot for a week of public voting until Christmas Eve and afterwards combined the votes with those of the BF staff, each set accounting for 50% of the final tally. Looking at the joint results, Hawkeye was a clear fan and staff favorite, with series writer Matt Fraction and artist David Aja both taking home the awards for Best Writer and Artists in the Mainstream categories. But the book itself ultimately proved no match for Saga, which, after snagging plenty of comics industry awards earlier in the year, came out on top in the categories for Best Ongoing Series, and had a huge hand in getting Vaughan and Staples honored as the Best Writer and Artist in the indie field. There was also massive recognition for the works by Gareth Brookes and Isabel Greenberg, two creators whose voices we, and clearly our readers too, hope to hear much more from in the years to come. 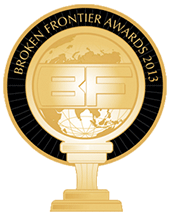 Scroll down for a complete overview of the winners of the Broken Frontier Award 2013. Keep your eyes on the site throughout the week as we’ll run spotlight articles on each of the winners. Thanks for voting and for being such wonderful and loyal readers! Staff Picks for July 13, 2016 – Judge Dredd: The Cursed Earth Uncensored, Terra Flats, Conan the Slayer, Monstress and More! Never read Saga before, guess I’ll have to give it a go. All deserved winners though Copra by Fiffe defenitely deserved to win the best ongoing too. After reading the first 2 TPB’s of SAGA I have to agree! !